Qantas connects Australians around the world through Rugby Union in a TV ad in which Aussies lean together to help the ball go through the post. 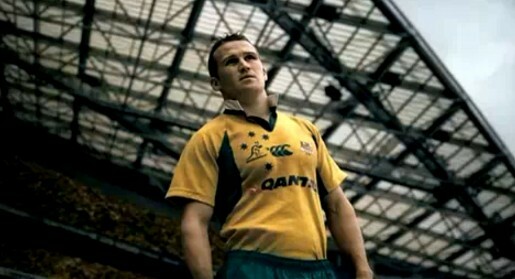 The commercial features Qantas Wallabies Matt Giteau kicking a goal with the help of Aussie supporters, and fellow team mates George Smith, Dan Vickerman and Rodney Blake. The ad points to the World Wide Wallabies site, www.worldwidewallabies.com, linking with the Rugby World Cup. The Qantas Wallabies campaign was developed at Singleton Ogilvy & Mather by creative director Paul Dunne, art director Scott Hopkin, copywriter Laurence Cronin and agency producer George Saada. Filming was shot by director Perry Westwood via AHT, Sydney.